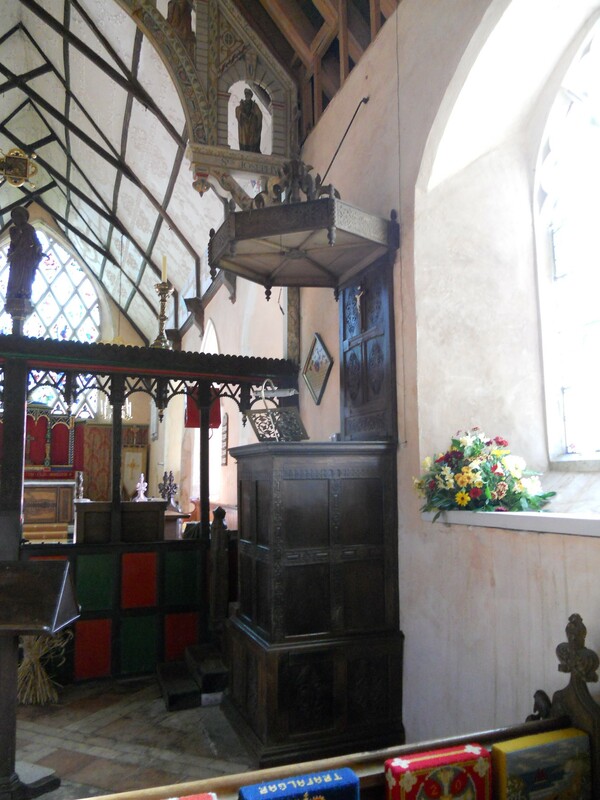 I hadn’t been in this church for several years and was looking forward to visiting again. 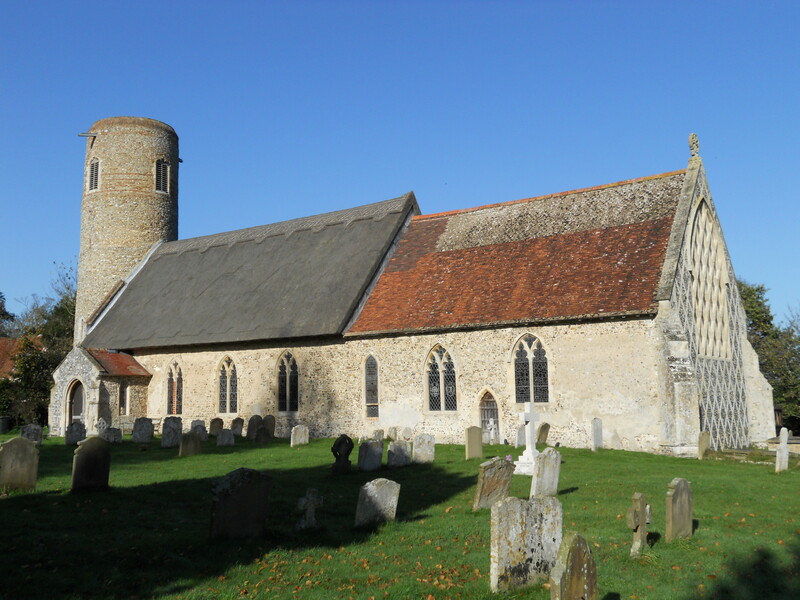 It is a typical, East Anglian, round towered church in a delightful setting. The church is signed off the road and there is plenty of parking. Inside, there are several booklets and other information about the church. Also, a leaflet about ‘Local Places’ which gives details of holiday accommodation and a local tea room. This is a rare thing to find! 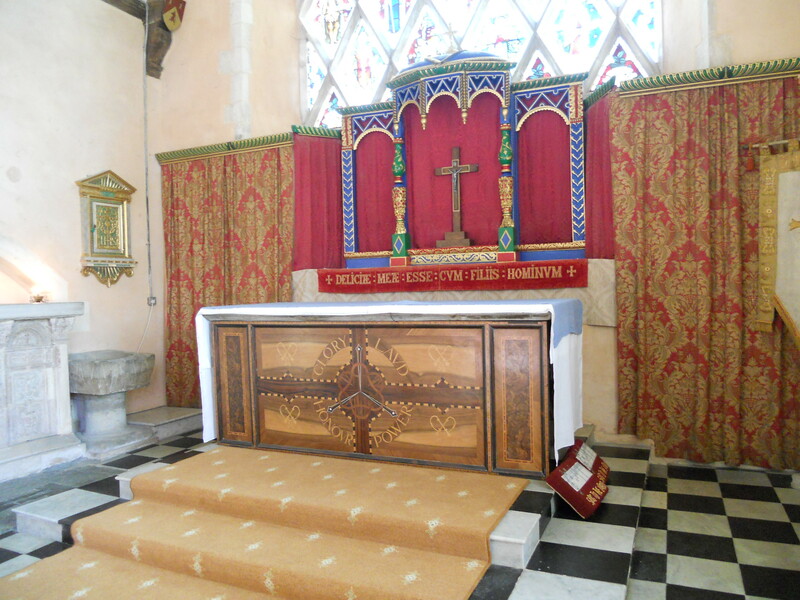 There was a leaflet from the Diocese of St. Edmundsbury & Ipswich listing churches open – a useful thing to have. 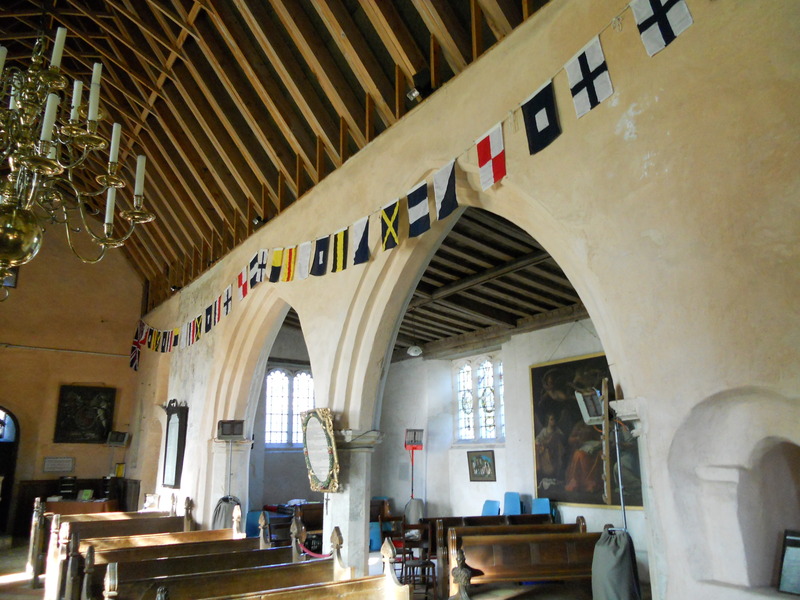 There are some lights left on in the church and some good booklets and history leaflets available, including one about the remarkable Nelson’s Hoist of flags – ‘England expects that every man will do his duty’ – the church has links to the great man. There is a history display and plenty more! 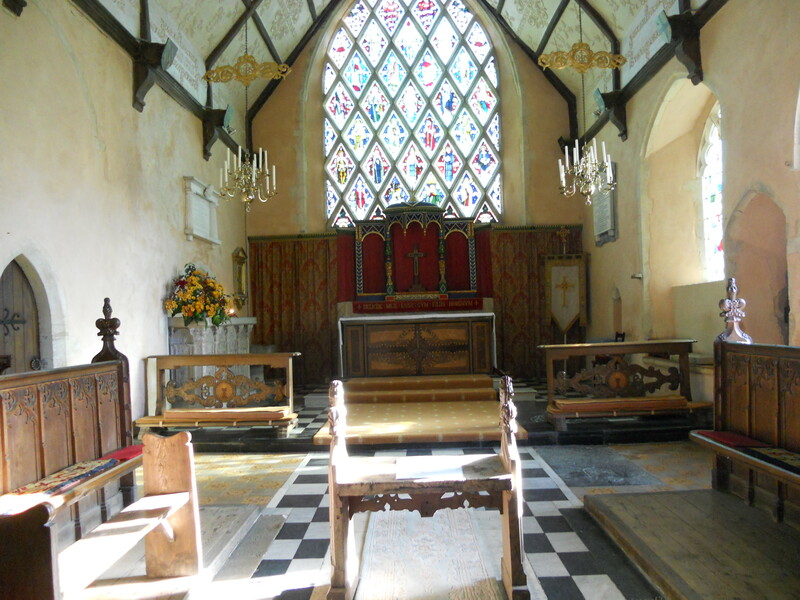 This really is a most interesting church to visit and a lot of effort has gone into explaining the history of the church and area. For pilgrims, there is a votive stand and a book for prayer requests. 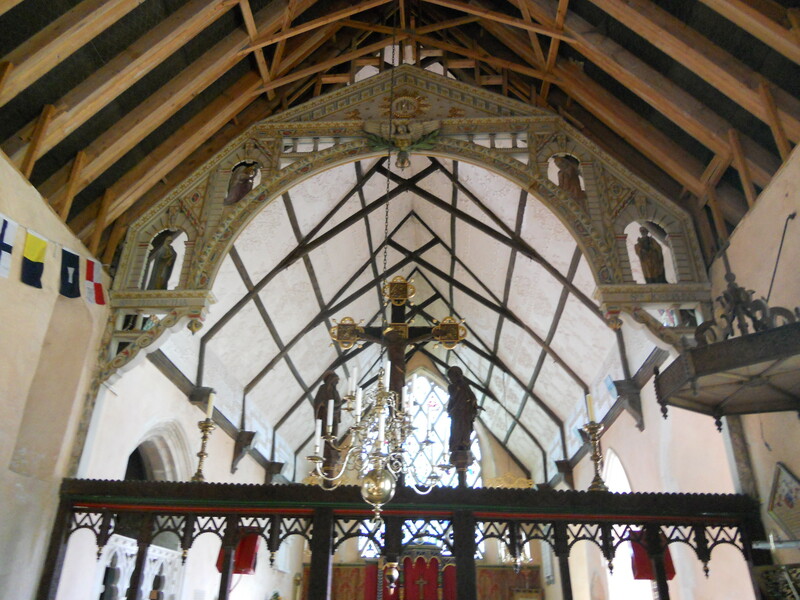 One remarkable fact about this place is how, at the equinox, the sun briefly shines through a small window (high up on the west wall) and shines full on a crucifix on top of the rood screen. This must be a special event to witness and the church naturally makes much of it. The next time this occurs will be on Friday 20th March 2015 at about 5.15. Quite a few people turn up to see this. 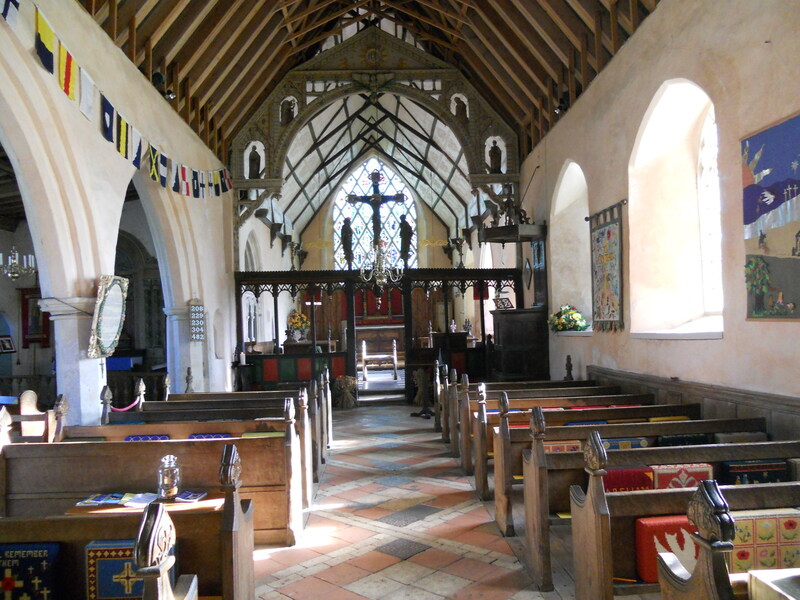 I rate Holy Trinity as very good – go and have a look. 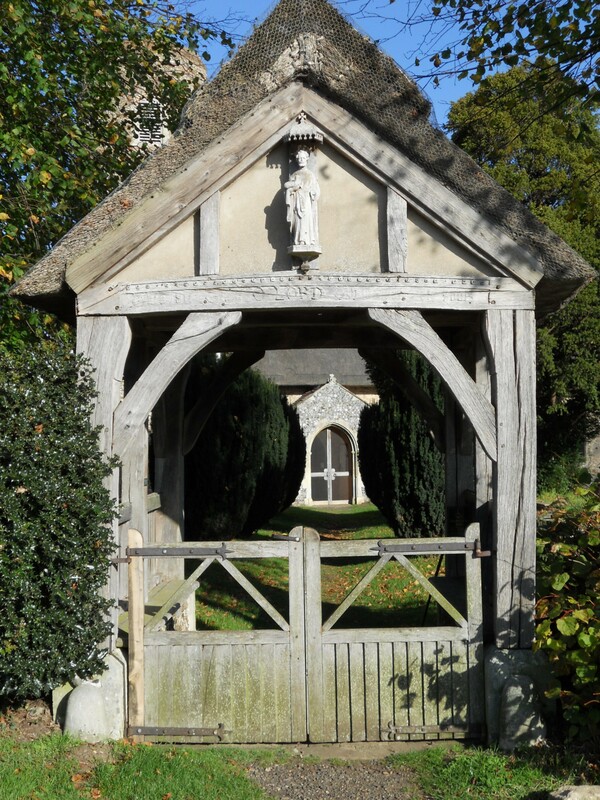 There isn’t a dedicated website but quite a bit on a churchnearyou, including visitor information. I will leave you with some pictures.